The double-ended design features a flat buffing sponge on one end and a curved dome on the other for blending on-the-go looks. Smashbox LA Lights Venice Beach Bronze is a soft shimmery bronze shade with a brownish bronze base and fine gold shimmer mixed in. The warm bronze base shows up quite easily on my darker skin and has enough warmth and depth to it that it doesn't look muddy on me. The shimmer in it is very fine, and the highlighter effect is quite subtle. It can be built up easily to a more intense color/highlight, but I prefer a softer effect. The chubby cream color is easy to apply and blend either with fingers or the sponge that's provided. I haven't used the sponge so far because of my obsession with keeping sponges clean :P Here's a look at the swatches of Smashbox Venice Beach Bronze. 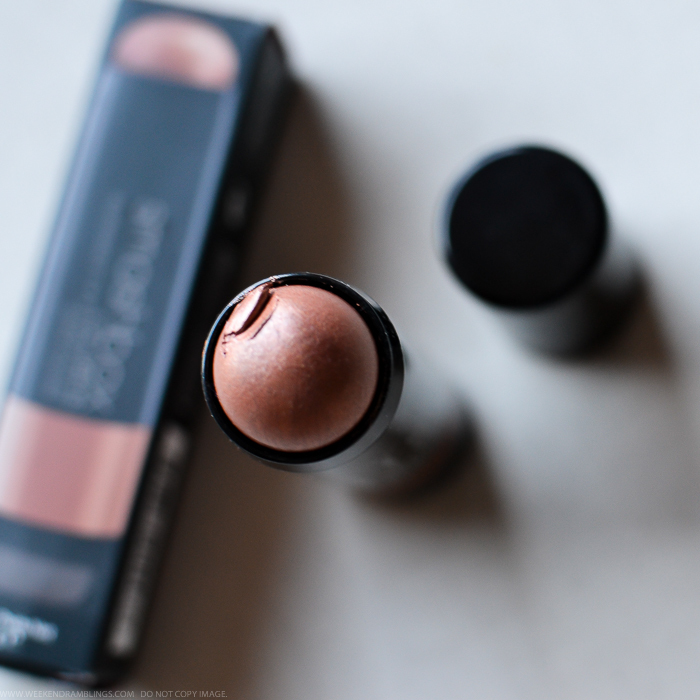 This is a multi-tasking product and can be used both on the lips as well as the cheeks. 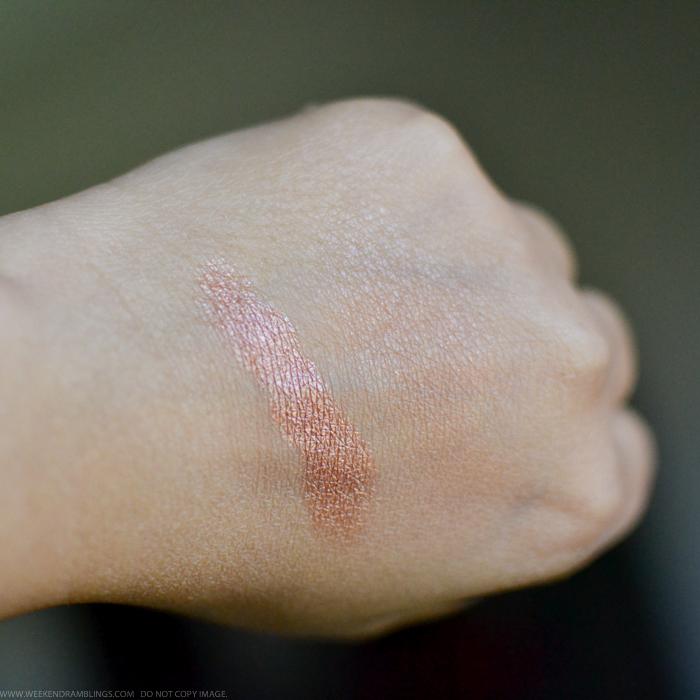 The shade Venice Beach Bronze is a warm bronze that works almost as a highlighter on my darker skin tone but still has enough color that I can use it on its own without any other blush. I have also used this over my lips, applying a dab of the color on the center of my lips to add a bit of warmth to my lip color. 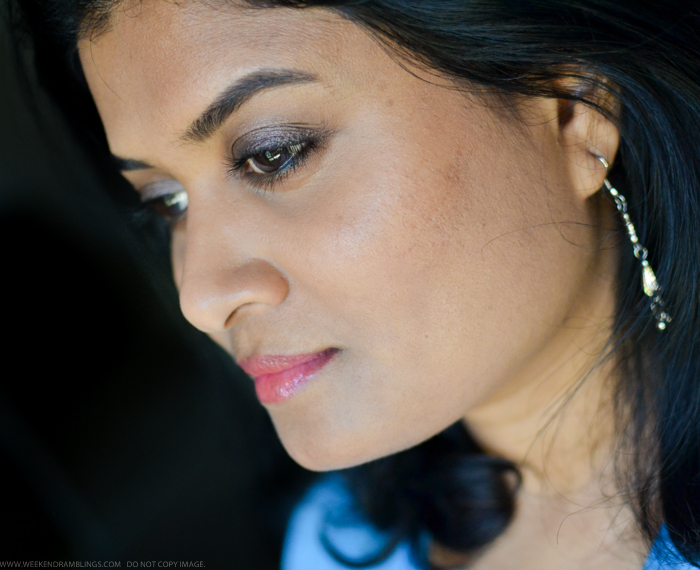 The shimmer is quite subtle on the cheeks, and on my lips, it translates to a warm sheen rather than chunky glitter. I haven't used this color on it's own on my lips so far (I love pairing it with pink/plum lip colors), but on cheeks, the color has lasted the whole day. For added lasting power, I would recommend dusting a bit of powder over this - the highlighting effect would still show through. 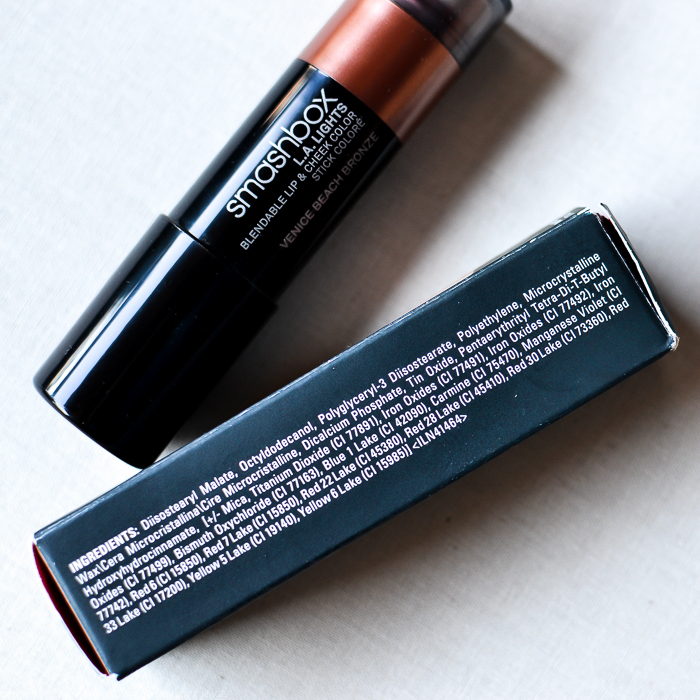 Smashbox L.A. Lights Cheek and Lip Colors are available in a couple of other colors, and the ones I am eyeing next are Malibu Berry (rich berry) and Beverly Hills Blush (peachy pink with gold shimmer), but I think I already found my favorite in Venice Beach Bronze. 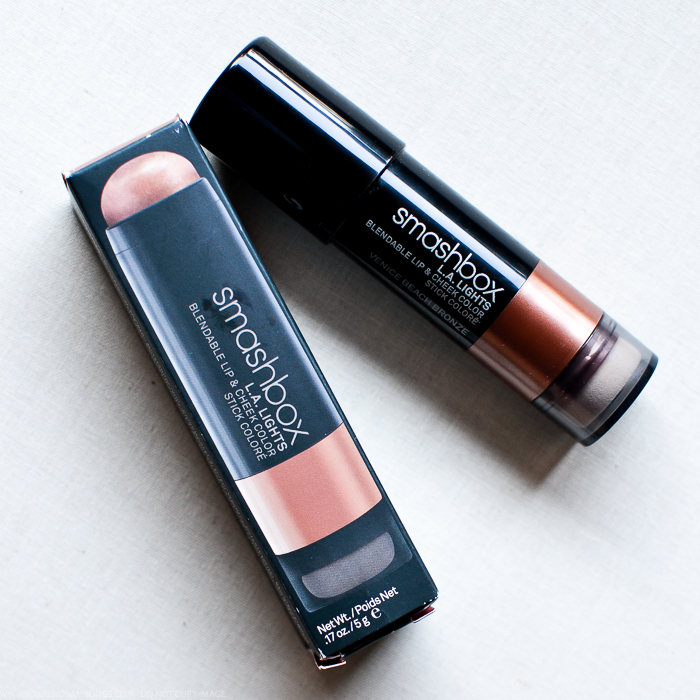 Smashbox L.A. Lights Blendable and Cheek Colors in Venice Beach Bronze definitely lands a spot on my list of makeup favorites. 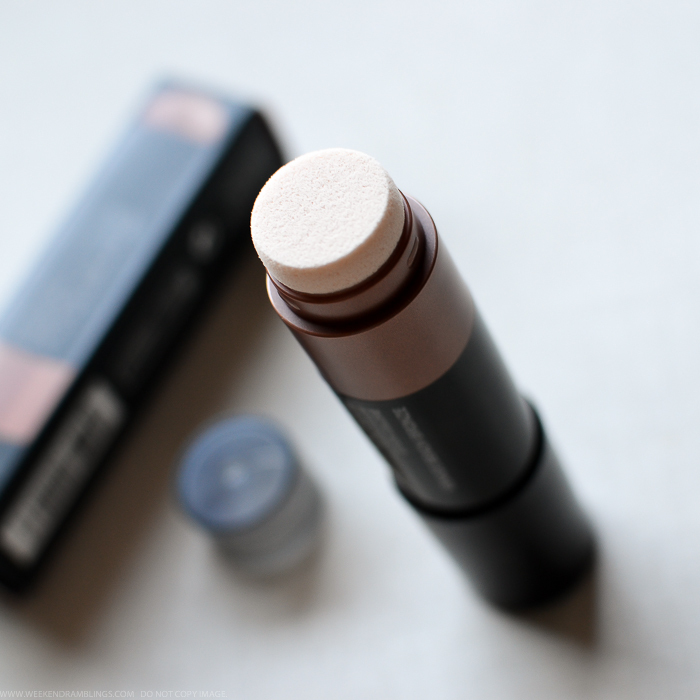 I am generally a bit skeptical about multi-tasking products - I much prefer a product that does one thing but does it perfectly - but I was quite pleasantly surprised this color/product worked quite well both as a cheek cream as well as on my lips. I don't know if the other colors in this range would perform just as well, but I do like that there are a couple of different options available for different skin tones. I also like the packaging and design, with the double-ended chubby stick and sponge design making it perfect for travel and/or keeping in the bag. 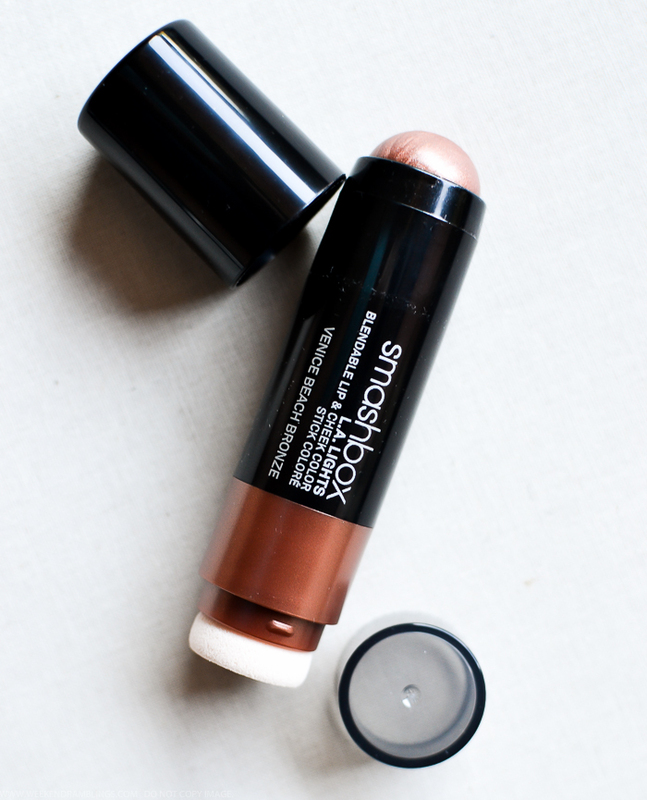 If you are new to highlighters and/or prefer a soft, subtle glow - or like me, have skin issues that don't take too kindly to shimmery products - do give the Smashbox LA Lights Blendable Lip and Cheek Colors a try.